The Law was originally published as a pamphlet in French in 1850 by Frederic Bastiat. It is his most famous work and was written two years after the third French Revolution of 1848. It defines, through development, a just system of laws and then demonstrates how such law facilitates a free society. Bastiat was a French classical liberal theorist, political economist, and member of the French assembly. The Principles of Liberty explained. 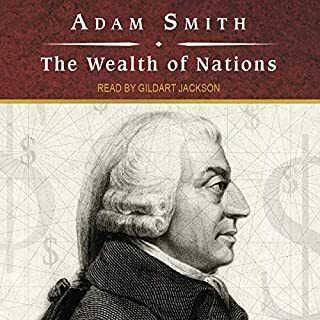 Milton Friedman and his wife, Rose, teamed up to write this most convincing and readable guide, which illustrates the crucial link between Adam Smith's capitalism and the free society. They show how freedom has been eroded and prosperity undermined through the rapid growth of governmental agencies, laws, and regulations. While a large central government may have good intentions, the results it produces are lamentable. More than another indictment of government planning and bureaucracy, however, Free to Choose offers several convincing and creative remedies to the world's woes. 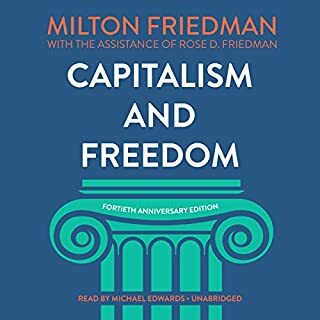 ©1979 John McDermott, Forward 1990 Milton Friedman and Rose D. Friedman (P)2007 Blackstone Audio Inc.
A friend recommended this book and I'm grateful he did. A knowledge of free market economics is a must these days, rather than making decisions based on media soundbites. As this book was written in the early 80's, familiarity with that time is helpful not only in understanding examples, but in seeing how things have played out since then. 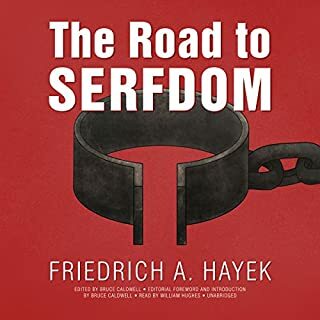 After this listen, move on to "The Road to Serfdom" by F. A. Hayek for more indepth exploration of ways to maintain economic and personal freedom. Important and interesting!!! The narration was well done and very "listenable". The most compelling book (of any type) that I have read in years. The authors are so clear and straightforward, the ideas so natural, that I cannot believe that I waited until know to read this. The examples are dated, but all of the history since seems only to verify the predictions made. 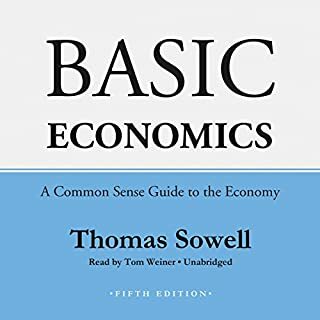 I highly recommended it for anyone interested in economics and politics. This text is one of the best on the subject of economics. Even though it's decades old, the analysis and principles are still shockingly applicable to our current times. The British accented narrator threw me off a bit at first, but I got used to it and enjoyed the book overall. This is definitely worth your money. Although certainly not discussed in any University classroom in this country and probably banned by the state of California... This one book taught me more than and is therefore more valuable then my entire four year degree in political science. 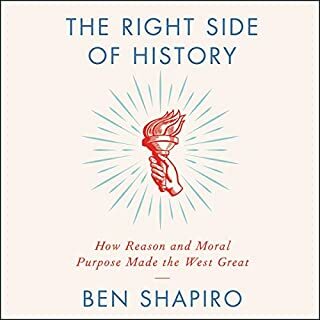 This is the best political/economics book I have listed/read and should be on the wishlist of anyone thinking about politics, economics and future in general. Regardless of your current political view, this information is important. 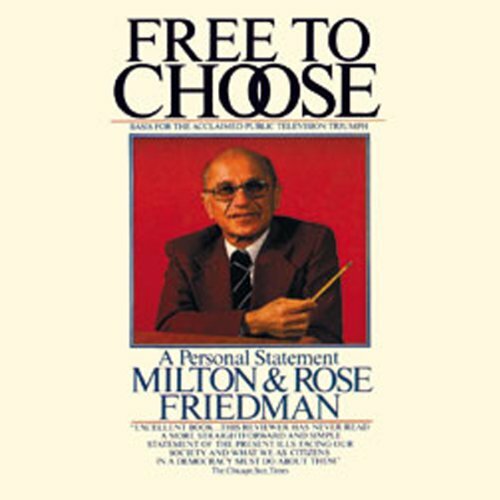 Milton Friedman paints his vision for the future based on Classical Liberalism (close to libertarism for Americans) with detailed examples on how the society would function in a free market environment. These examples are easy to understand and they are being articulated very well. Previous theories and especially socialism/marxism and anything around those ideologies. 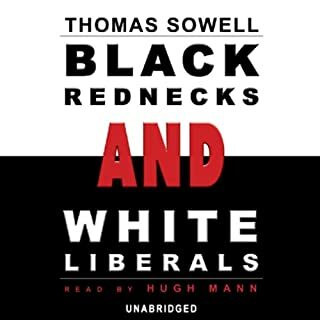 Friedman political views being what they are this is obviously not a balanced book. He is driving his agenda and criticism toward that must be sought elsewhere. What is interesting, however, is that unlike many of his critics the ideas presented are not cold or corporism centric. Quite the opposite in fact. Friedman is not working to make corporations earn more or wishes to see poor people dying on the street. His views are, in short, that in a free economic environment the poor have more chances to become wealthy and that social security should stem from the community rather than federal government. The issues raised in this book are even more relevant than they were at the time of writing. There are also much more counter arguments made after the publication which should make finding the balance relatively simple. I highly recommend this to any intelligent person. I cannot recommend this book enough! the dangers of an overgoverned society spelled out from an economic perspective. The Narrator, James Adams is always good, nothing changed here. Still among the best. The book itself is very well reasoned and an important subject matter to tackle. While Friedman's economic is not exactly libertarian, it better than anything you will get from a Keynesian. Ultimately, the ability to irresponsibly print money and run massive deficits is not just a question of economics and financing government it's also a question of true democracy and true freedom. If you have a government that can act without limits and tax via inflation, then the people are not in charge anymore.